The Norwegian guitarist's 1998 take on soul, blues and gospel is, as always distinctive and surprising. 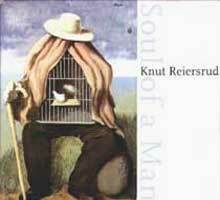 Always a step ahead, Knut employed samples of legendary blues performances (this was well before the likes of Moby and the soundtrack for 'Oh, Brother Where For Art Thou') together with rock-solid band of Paolo Vinaccia, Auden Erlien, Bugge Wesseltoft and Reidar Skår. The album is more of a band album with Knut's electric guitar virtuosity in focus. Three of the songs were written exclusively for him by Mac Rebenack and the late Doc Pomus, and the most convincing song on the recording, the title track, is an original. Completely unique and different.